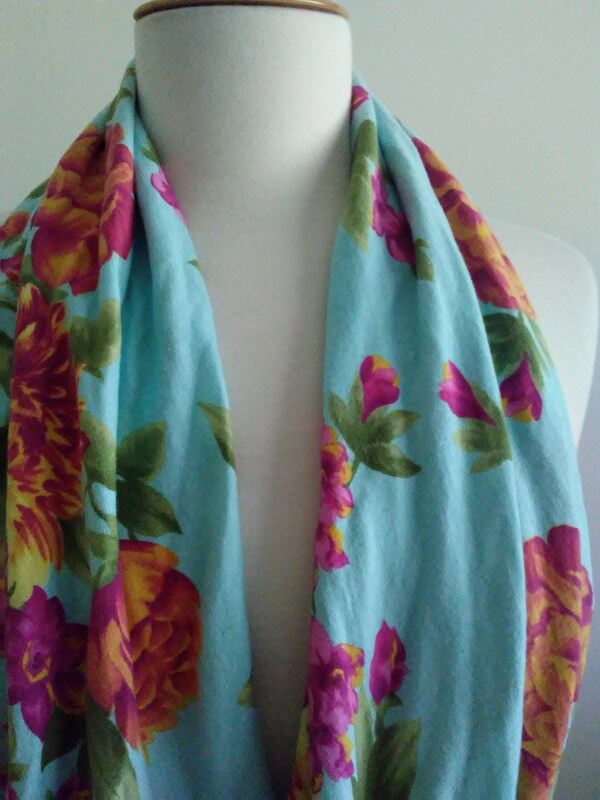 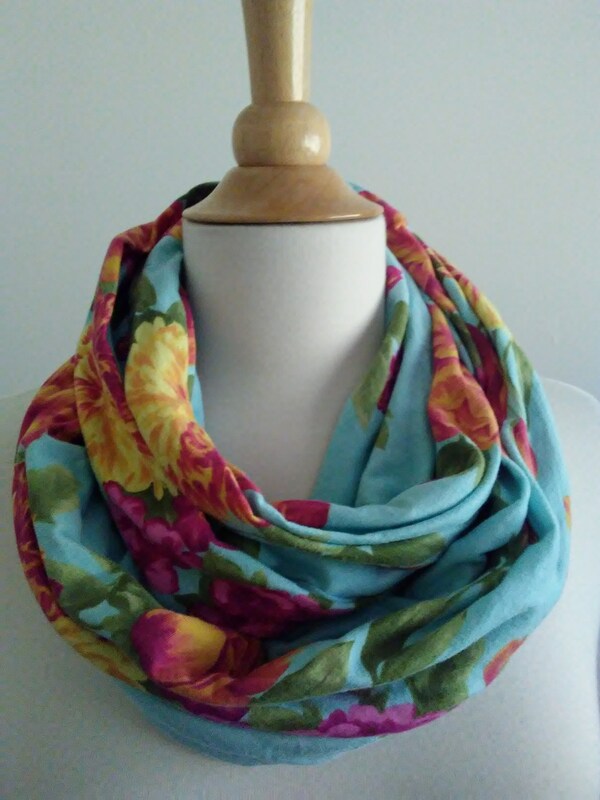 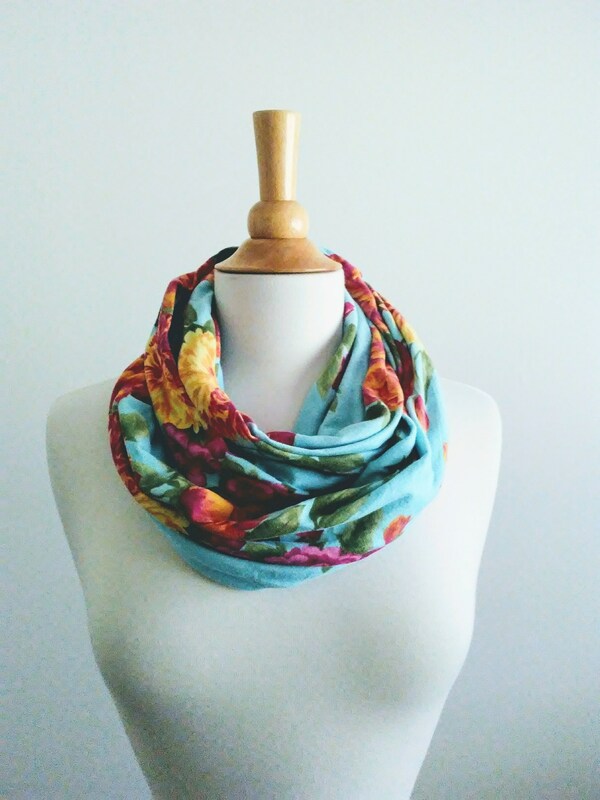 A really pretty botanical print infinity scarf. 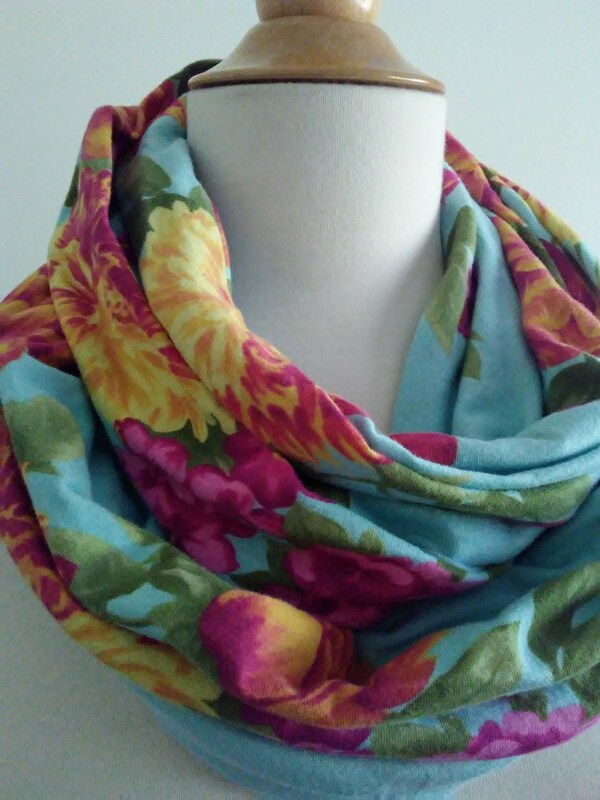 The colors in this floral print are pink, green, orange, mustard on an aqua background. 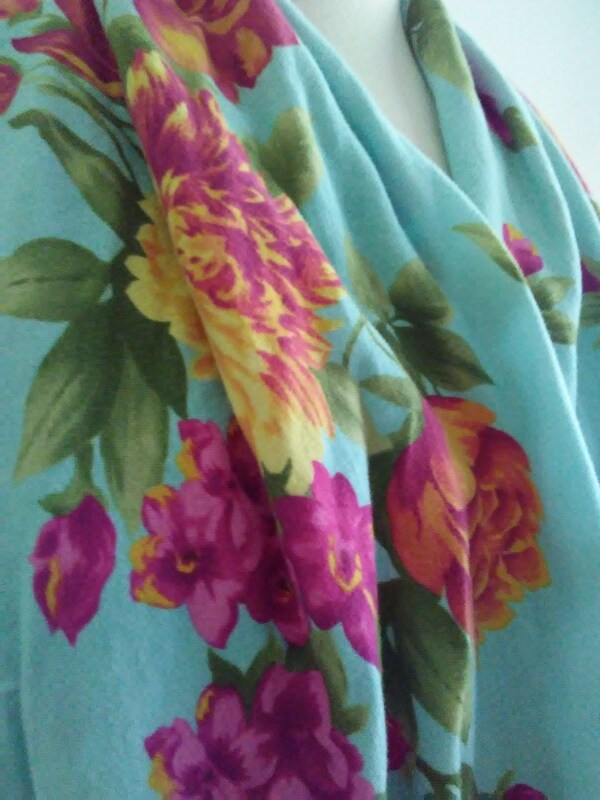 The fabric is a soft stretchy cotton knit. 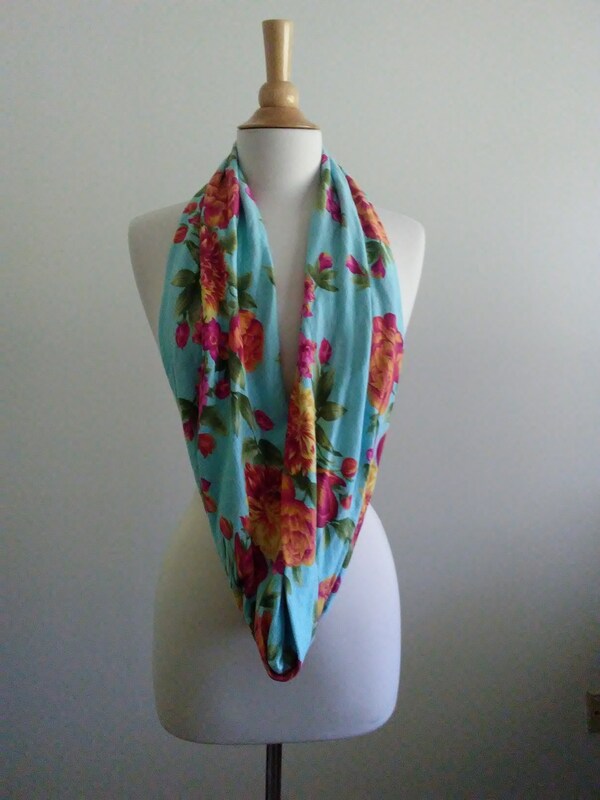 The scarf is sewn in a continuous loop, which can be looped once or twice around your neck.